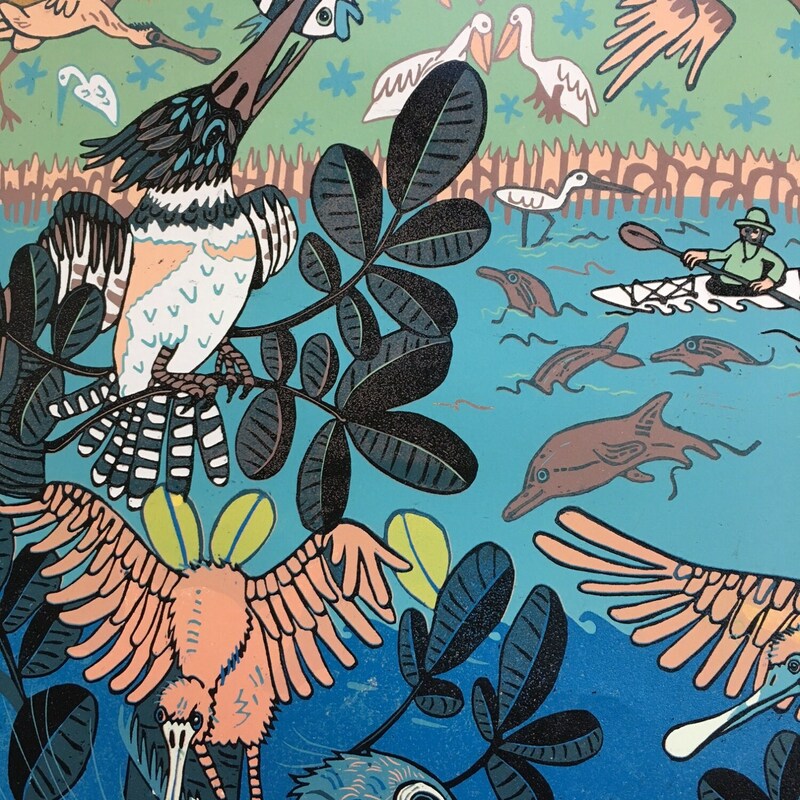 Mangroves are a very special place for life in Florida and other southern states. 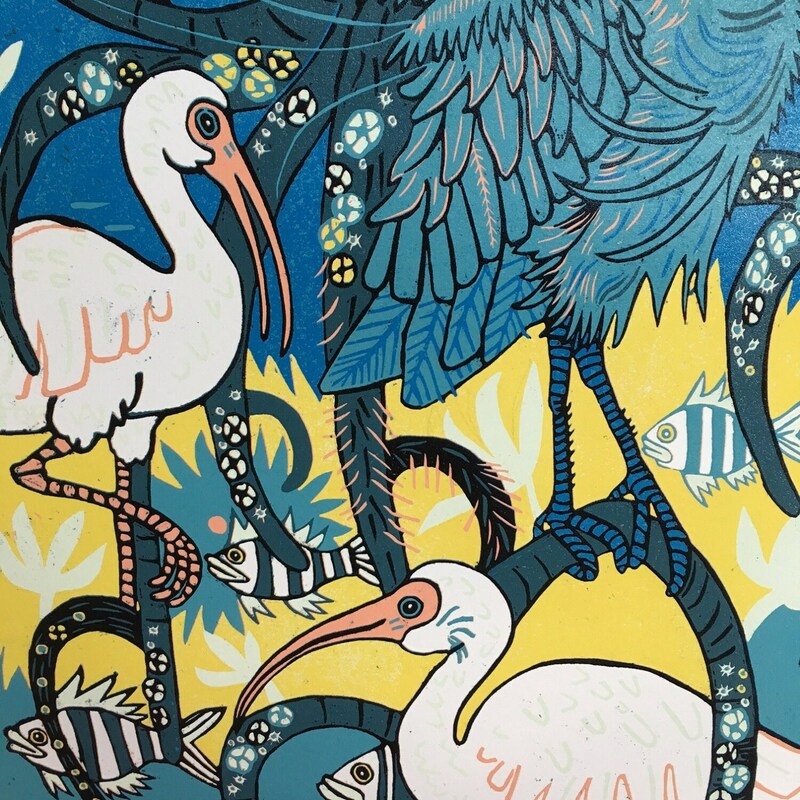 They provide habitat for many animals shown in this woodcut such as Spoonbills, Little Blue Herons, Kingfishers, Ibis', White Pelicans, Diamonback Terrapins, and Sheepshead fish; but they also prevent erosion, provide a break from hurricane strength winds and filter pollutants in the water. They are an amazing resource and too many have been plowed down for developments. Hopefully the ones that are left can be preserved for many generations to come. 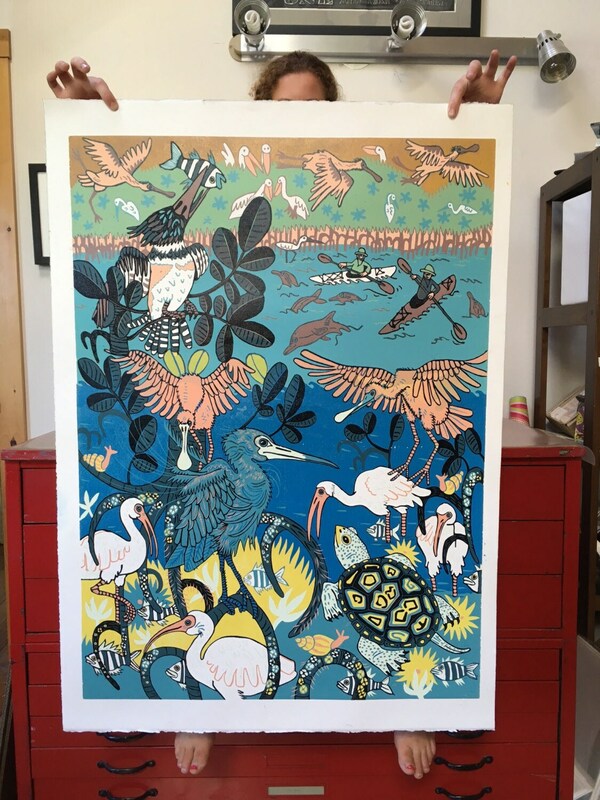 This large woodcut is 28" x 38"